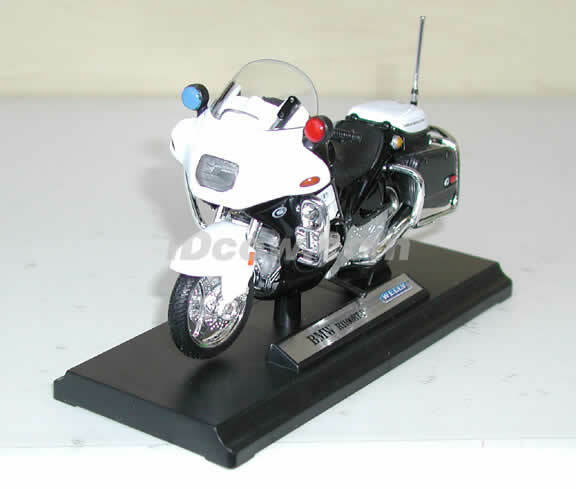 Highly detailed BMW R1100RT-P California Highway Patrol Police Motorcycle Diecast Model 1:18 scale die cast by Welly. Great show piece. 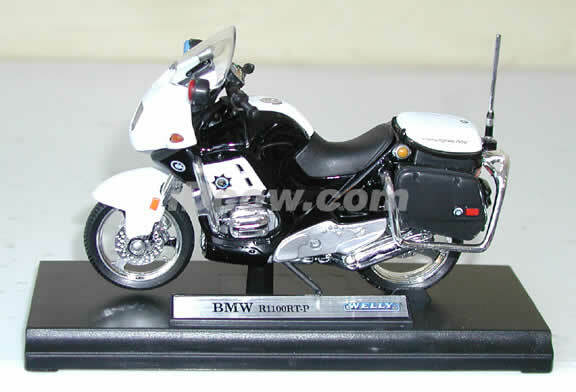 Hard to find BMW police motorcycle. Details are very precisely crafted. Great collectible or gift piece. 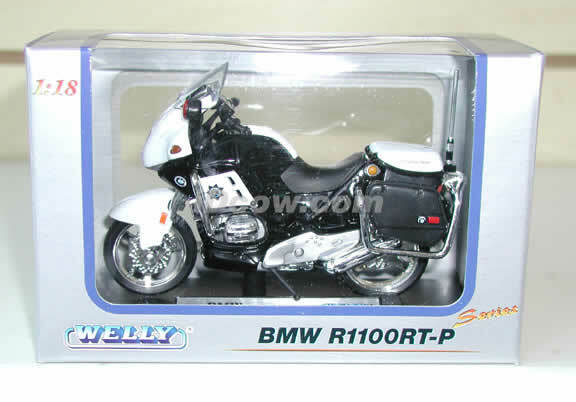 BMW R1100RT-P California Highway Patrol Police Motorcycle Diecast Model 1:18 scale die cast by Welly.